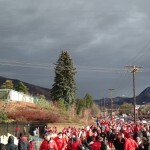 The drizzly skies wouldn’t keep Utah faithful from witnessing this matchup of conference heavyweights. 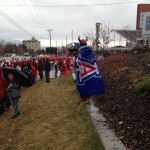 Tailgating lots all around Rice-Eccles Stadium filled up with smoking grills and wind whipped flags. 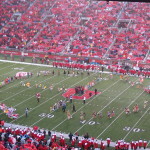 The marching band made its way through the parkas and raincoats to treat hearty fans to a little pregame entertainment. 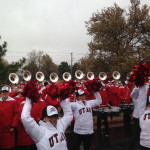 The celebration moved nearer to the stadium as fans and band members welcomed the team on the traditional Ute Walk. 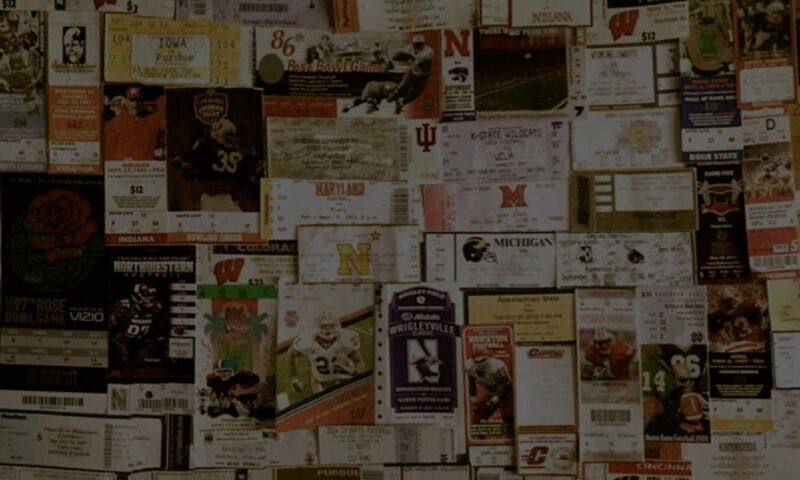 Evidence of anticipation for this big matchup stretched beyond the nearby radius and rattled through the streets of Salt Lake City. 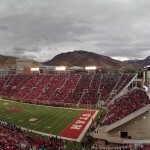 Fans filled Rice-Eccles to the corners and were treated to a relatively rainless first quarter. 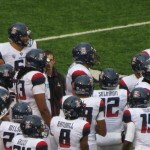 Arizona would treat the fans to a first and second quarter scoring torrent. 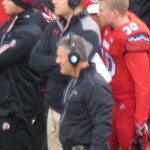 Utah suddenly faced a 21-0 deficit that seemed insurmountable. 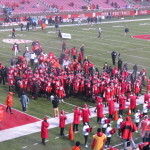 The rain picked up and soon became a fitting backdrop for Utah’s depressing outcome on the field. 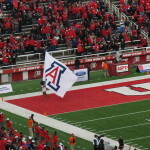 Despite a slight offensive spark and rousing halftime performance from the surrounding Ute Tribe, the Wildcats would shift into high gear during the fourth quarter sending the red clad patrons to an early exit. 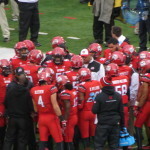 Impressively, The Utah fan base supported their struggling team through all the ups and downs. 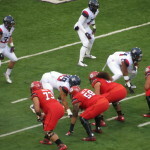 The atmosphere here and strong fan backing make it a perfect fit for major football in the Pac 12. 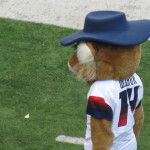 This lopsided loss to Arizona is not an indicator of the mountains they can move in their new conference.